This week here on Fun Fact Tuesday at Statesman Ties we’re going to be talking about Denmark, the inspiration for our Denmark tie. Fun Fact 1: Denmark is reported to be the happiest country in the world (but that just might be because Danes consume more coffee per capita than any other nation in the world). Fun Fact 2: Denmark is a great place to be if you love to cycle. In Copenhagen, the capital of Denmark, half of commuters head to work on a bicycle no matter the weather (and it Denmark it rains or snows every other day). In fact, Denmark doesn’t have bike lanes, but instead they’ve built special elevated roads just for bicyclists. And with no mountains, bikers never have to ride uphill. My favorite fun fact about Denmark is that they have the oldest state flag in the world (pictured above) that’s still in use by an independent nation. 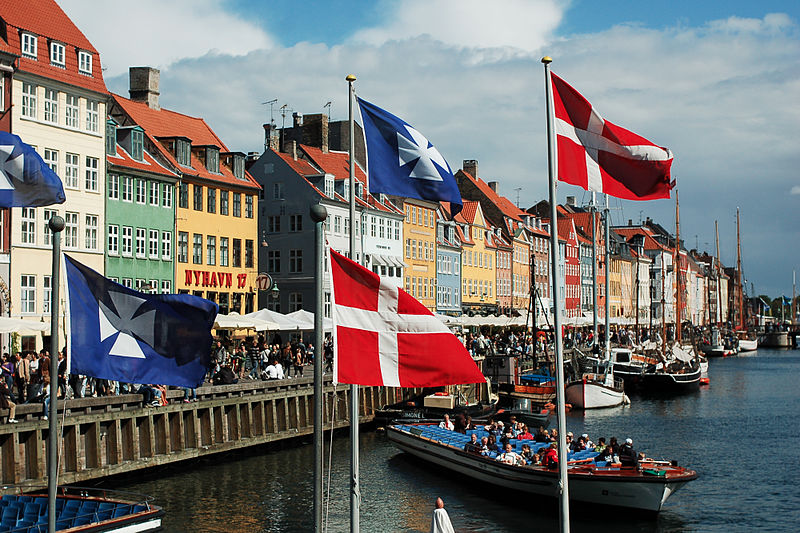 Denmark was first acknowledged as an independent nation way back in 1219. Let us know your fun facts about Denmark in the comments. Don’t forget to take a gander at our Denmark tie!